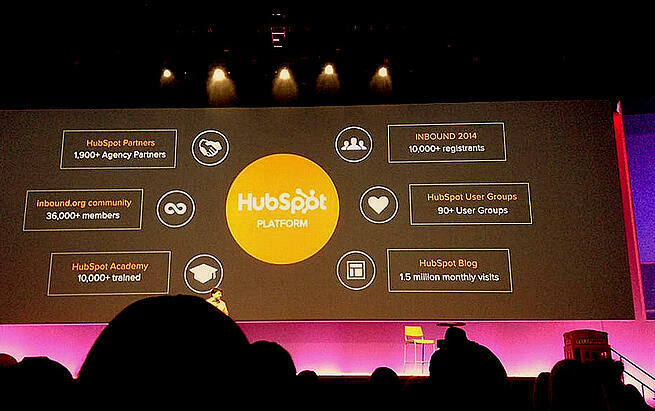 Team Marsden attended HubSpot’s inbound marketing conference last week, INBOUND14, and it was well worth the time. With an impressive roster of speakers, deep dives into marketing tools, and of course the networking opportunities only an inbound marketer could dream of, Boston was booming with potential and energy. Here’s some of the goods from INBOUND highlighting two themes that seemed to echo down the halls of the Boston Convention Center: perspective and people. There were many sessions conducted throughout the 4-day marketing madness, but one that jumped off the app (yes – there was an app for INBOUND) was from HubSpot CMO, Mike Volpe. The session provided an inside look at HubSpot’s marketing program, from vision to process. During Mike’s session, he emphasized the concept of “retraining your brain” when you think about marketing today. It’s not enough to simply acknowledge that marketing has taken a dramatic shift: you have to put it into practice. This does not mean that traditional marketing is irrelevant. It simply means that marketing has become a much more dynamic, two-way communication that has a longer lifespan than just placing an ad. As we’ve seen with our clients, traditional and digital marketing tactics merge beautifully with the right strategy. As Mike explained, the inbound marketing methodology simply enables companies to attract more buyers where they are, convert them for services/products they actually want, and continuously have a pulse on their customers in order to delight them in new ways. At INBOUND there were several keynote speakers that started the day with inspiration, leaving attendees feeling like they could take on the world. 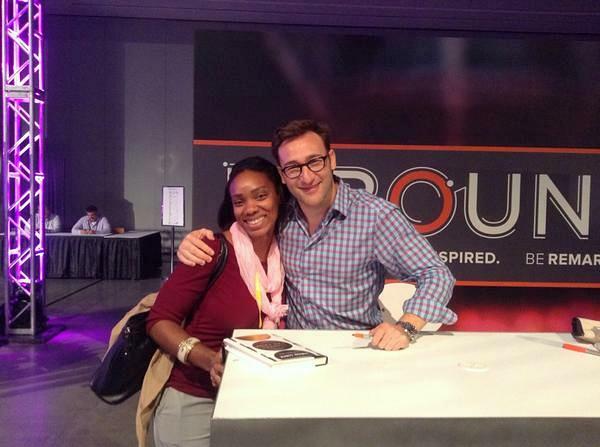 But one speaker brought the auditorium to its feet with roaring applause: Simon Sinek. The “Author and Optimist” is best known for speaking on leadership and inspiring others to take action -- and his keynote was no exception. He focused on businesses needing to understand the complexity of the human spirit; what can drive employees, what can break them, and what managers can do to get the best and the most out of their team. Leaders in organizations must go beyond just meeting quotas and assigning tasks, but also focus on the well being of those responsible for completing those tasks. The digital marketing world is transforming. As it transforms and becomes more demanding, new ways of motivating and sparking creativity must be birthed – and it starts from the top. Want to learn more about inbound marketing, and how it can benefit your business? Download our eGuide today!